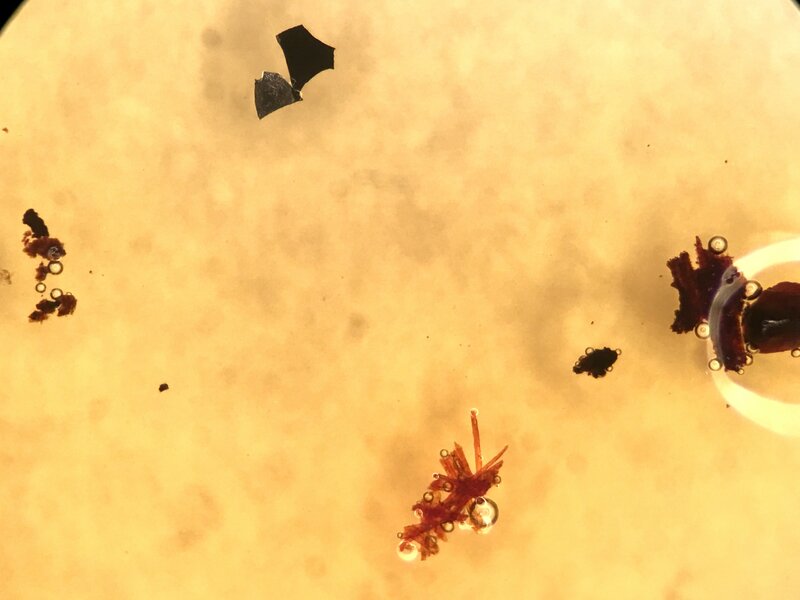 These are particles recovered from an in-line filter being tested for reduced sulfur using a sodium azide solution. Bubbles indicate the presence of reduced sulfur. Fragments of Kraft paper respond well while the black film suspected of being copper or silver sulfide shows no reaction. The black film is charred oil.